In 2013, Bloomberg Philanthropies and Sustainable Harvest partnered to create the Relationship Coffee Institute, a non-profit public benefit corporation committed to transforming the lives of rural, low-income women coffee farmers through training and market access. 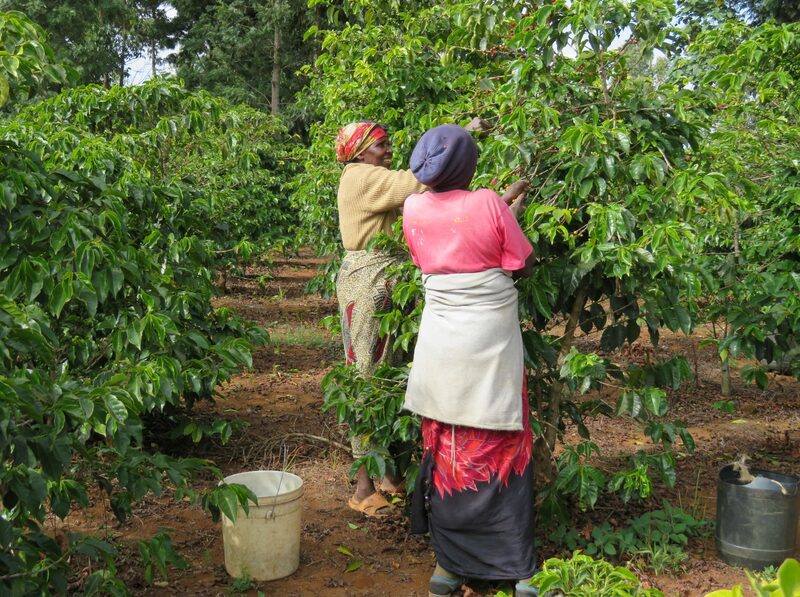 This is the women grown coffee cooperative located in Eastern part of Rwanda in Kayonza area about 3 hours away from the capital Kigali. Even though the coffee harvest does not start in Rwanda until June it was a great experience to return back here again after my first visit in 2015 and see the beauty of this green, lush and properly maintained place. Very exceptional landscape, a truly paradise and by no surprise called “Switzerland in Central Africa”. Friend of mine who is coffee producer from Uganda, Kads Dison, joined me on this trip today, January 05, 2019 and we went on to the adventure together to Rwimishinya, Twongere Umusaruro Kawa Cooperative.